“To take the pushchair, or not to take the pushchair?” – that is the question… If you take it they won’t go in it, and proceed to either plod irritatingly slowly in the direction you want to go, or break neck speeds in all other directions. Reins aren’t much help once they realise they can wrap them around things, and pull on them like a small cart horse. The transition from pushchair to walking toddler is an extremely stressful time for all involved! For me my daughters Strider bike smoothed this transition like nothing else could. I found myself having a discussion with another Strider mom about exactly that the other day. Strider bikes are the ultimate toddler parenting hack. The Strider is so light it hangs on the handles of the pushchair effortlessly without tipping it. If my child wanted to walk I offered the strider instead. The massive adjustment on the Strider meant it was the perfect size and weight for my new walker to manage. When on the bike my child moved further and faster than on foot making family walks, and strolls around the shops a more pleasant experience for all. It literally went everywhere, including the super market isles. I found this especially useful when walking my enormous dog. Finally they moved at the same pace! Subsiquently the dog has also learnt to walk alongside bikes and not hinder her riding making him the perfect cycle companion. Win Win! On the bike her hands are busy, preventing her from picking up every leaf, feather, stone, shiny thing or piece of litter in sight! The Strider also gives her the freedom to explore her environment safely, yet also limits her sufficiently. If the terrain gets tough eg steps, ditches, cattle grids ect she will change course or wait for assistance. 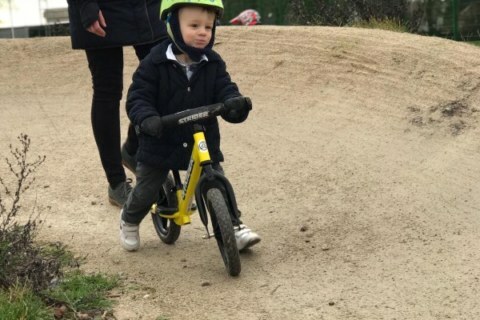 3 Years on I have a competent 4 1/2 year cyclist on my hands, who bypassed stabilisers and has a genuine love for riding. 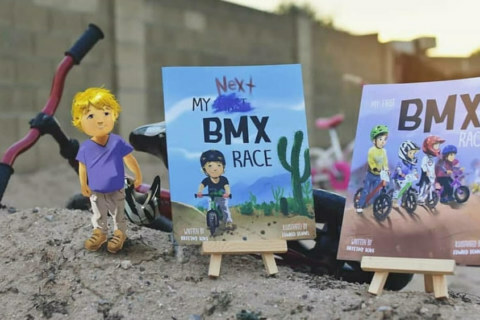 She rides BMX, Mountain Bike, MX, and still loves to ride her Strider. As for me and the dog… we’ve been forced to take up jogging against our will and have saved a small fortune on gym membership! Conclusion… buy a Strider and win parenting. 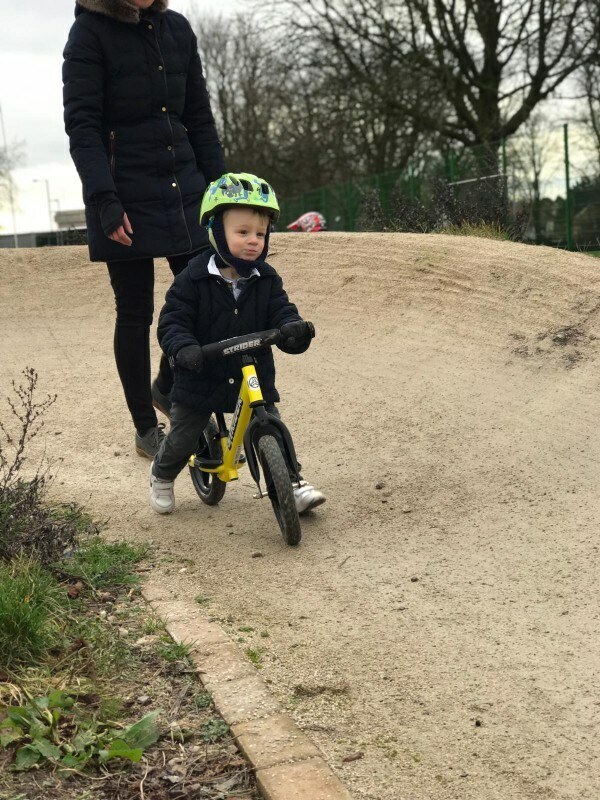 Ready Steady Riders | How do balance bikes support children new to walking?